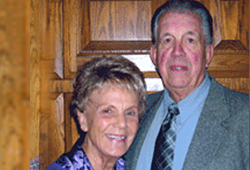 Chuck and Myrna recently sold their family business. With mixed emotions, they said good-bye to that upon which they had devoted so much time and energy. CHUCK: After the sale, I felt a sense of relief as well as loss. When the phone rang in late December, my CPA was on the line. "Chuck", he said, "I have crunched the numbers and you need a charitable deduction before year end or you will be facing a large tax bill in April." MYRNA: We were faced with a problem, complete a gift in the final week of December or pay the tax man. The solution appeared on our TV, tuned to our favorite program, Hope Channel. CHUCK: Dr. Navarro was on and discussing the tax saving benefits of CGAs. Just what we needed. I told Myrna to call him. During the conversation, they discovered a CGA does more than provide tax relief. Based on their dates of birth, the 2-life payout rate of 6.7% generates guaranteed income for the rest of their lives. CHUCK: I like how the CGA cut our tax bill; and that 60% of the payments are income tax free. MYRNA: I like the increased income. CHUCK & MYRNA: The greatest satisfaction for us is the knowledge that our gift to Hope sends the gospel of Christ to everyone, everywhere. This planned gift was completed before year end; even their CPA was pleased.